Start your spring cleaning! 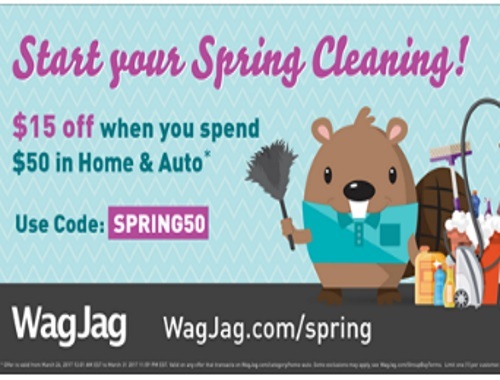 Wagjag is offering $15 off when you spend $50 or more on Home & Auto deals! Please note this promo code only applies on the specific Home & Auto category deals! Enter the promo code SPRING50 at checkout. Offer valid March 27-31, 2017.